Paul McConville is a leader in SaaS and analytics businesses. He is SVP of sales and account management at Hobsons with global responsibility for the success of its 12,000-plus K-12 and higher-education clients. He was previously chief revenue officer at Jornaya, a Comcast Ventures- and Edison Partners-backed consumer analytics business. He spent 10 years at TARGUSinfo and led sales and marketing prior to the acquisition by Neustar for $657 million. He is the father of three daughters and husband to a wonderful wife. When not competing in business, he competes in tennis and basketball. Fred Diamond: What do you sell today, and what excites you about that? Paul McConville: Hobsons has a tremendous mission helping inspire kids to figure out what do they want to be when they grow up. What do they like to do? What do they care about? Based on those things, what is the career that they think could be a perfect fit for them? Once they figure out that career, we will help them guide the path. How do they get to that career? And if it includes college we’re also going to help them find the best fit for that college. 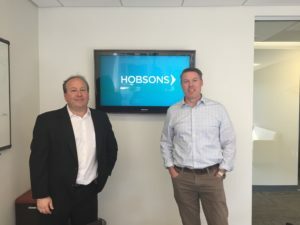 Hobsons is about really inspiring to help more kids figure out their plan for life and figure out how to achieve it and get them into college. Then once they’re at college, we have an analytics and retention platform that’s used by about 400 or more institutions. We help kids figure out how do they stay in school and help them figure out where they’re doing really well and where they may need some help. We have a data platform that helps students figure out how to take advantage of all the resources at their disposal at a college campus. They can figure out how to persist to get to the next year, then how do they help themselves to graduate, by tapping into the full network of resources on a college campus. Fred Diamond: [Who is the customer for Hobsons? Paul McConville: In K-12 we work with the superintendent or their chief academic officer. In college it tends to be admissions and whoever is owning student success. Paul McConville: At college I found that I really enjoyed talking to families when they were coming to visit. When conducting campus tours, I loved to ask people questions, and so I asked a lot of questions when I was giving tours. I’m also candid and gave feedback if I thought a kid wasn’t a fit for the school and if it wasn’t right for what they were looking at. Three days after graduating, I started selling commercial collections services to companies with fewer than $20 million in sales. It was the best sales training ground that I could have asked for. I had to make 60 cold calls a day. If I only made 59 I would get called into my boss’s office, who went over the call report with me and discussed how I had to convey what our value proposition was. Over the phone I didn’t get to read body language, and it forced me to listen. Learning by selling over the phone forced me to become a good listener. Fred Diamond: What are some other key lessons you learned from those first few sales jobs? Paul McConville: I think it’s universal, but work ethic matters. I’m a believer that hard work and persistence really can conquer all. In my life I’ve never been the smartest person in the room, but I always felt like I could outwork the smartest person. I think that’s true in sales. Those who put in the time and the effort, you really do get out of it what you put into it. If you’re prepared, you’re going to ask smart questions. Fred Diamond: Tell me what you think a high-performing sales professional needs to be doing with that strong work ethic. What does that look like? Paul McConville: It has to be married to your business. We sell to school districts in the U.S. Most school administrators start their day at 6:30 A.M. or 7 A.M. A good sales rep should probably be in before they start their day, because once the clock hits there is the usual panic. I use the term preparation work ethic. There are more resources available to salespeople today than there have ever been, but I still see people not doing their homework. For instance, if you’re selling to public companies you’d better be looking at the annual report before you meet with anyone there. Fred Diamond: How do you get your reps to understand the challenges that their prospects are faced with? Paul McConville: Whatever you’re selling is likely trying to improve a workflow or improve part of their business. I want to first know what is their process. How would you make that process better with our solutions? If you are not good at showing that, you’re not doing your homework. Next I want to know what would change if they were using our solution—how would that workflow change, and would they have to bring in new technology. And then ultimately what’s the financial return or what’s the payoff. What do we do today and how are we going to change the world here. And if we do that what’s the impact it’s going to have for the business that’s really important. Fred Diamond: Can a rep without the work ethic be trained, or is it an internal, instinctual type of thing that you have or you don’t have? Paul McConville: No, you can train it. However, I see too often that new managers often shy away from the honest conversation to say, “You’re not putting in the effort.” Don’t make an emotional conversation. Show the facts. Facts are how many calls did you make or how many appointments did you set. How many opportunities have you created this month? It’s easy to track the work ethic of a salesperson if there are the right tools. Fred Diamond: Tell me a little more about your specific area of brilliance. Paul McConville: I’m a firm believer that the past does inform the future. So I am very strong at using the data that’s available. That’s anything from measuring activity to pipeline. I’d better have the data if I need to go to the CEO and say I want to hire another four or five people. That’s a million dollars in additional expense. I’d better be able to say what’s the return of the money I get. Sales has the luxury of being an incredibly honest business. Numbers don’t lie. Fred Diamond: Talk about how one of your sales mentors impacted you to become the sales leader you are today. Paul McConville: George Moore was a very bright guy with a doctorate in statistics, but he was the best at understanding needs of a customer that I’ve ever seen as well as being able to communicate the value proposition. And he believed in the honest conversation and the power of a compelling story. Paul McConville: I’ll boil it to one: hiring retaining and training top talent. Really good salespeople have a whole lot of choices. When you find them and get them here they’re probably already getting calls from others, so you need to get them up to speed quickly. And then keeping them here is a challenge. People make the biggest difference in any business. Finding the right people who embrace the culture and embrace the way that you work makes the place better than it was. Fred Diamond: Have you been successful in overcoming that challenge? Paul McConville: I will say it’s a source of pride. I’ve been here now a year, and we’ve made some enormous changes. Hobsons wasn’t necessarily the performance culture it is today. I think the power of honesty and what you’re building helps people self-select whether they want that or not. There are those who will thrive and want to thrive in a performance-based culture. One of the things that’s been hugely advantageous to us is those people who love being here help find people who also would love to be here. The friends-and-family network is strong, so probably half of our new hires have actually come in from an employee referral, and I think that’s important in creating the right culture in a business. You demand excellence from people who love to be excellent and they’re going out find others who are good. Fred Diamond: What’s the number-one specific sales success from your career that you’re most proud of? Paul McConville: I worked for a company called Strategic Management Group. 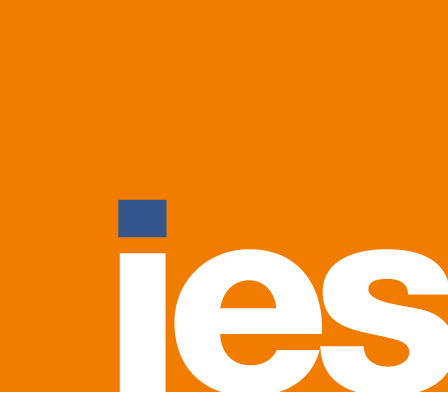 We were a global consultancy but mostly focused on the Global 250 around change management. When I came on, my focus was entirely on the insurance vertical. My first one was with John Hancock and the second was with MetLife. I’ve learned before I got there that we had an agreement with Prudential and had lost it, and it sounded like it had gone terribly wrong. And it was our company’s fault. The client gave us the chance, and we blew it. That bothered me, so I took about six weeks and did the full post-mortem. It happened before my time but I wanted to understand what we did wrong. I remember calling the customer at Prudential and saying I understand that you gave our team a chance and we failed. I told her I did a postmortem and [called someone from Prudential to say] that I’d love to meet with her to tell what we did wrong and what we would do differently if we had another chance to do it. We met, and she was very honest on how bad we had screwed it up but also said she hadn’t seen anyone go through the effort of doing that type of postmortem and showing me what we would do better. She gave us a second chance, and six months later it was my largest client. It was because we had an honest and candid conversation. Too many times I see salespeople shy away from mistakes. We need to own up to them and try to fix them. Fred Diamond: The customer has more challenges than we do. You know they’re all in competitive situations. They’re looking for you to come with ideas and examples and ways to help them solve them. Paul McConville: And how do you think the customers get promoted? They’ve got to bring winning solutions to their business. They’re not going to take a chance if they’re not sure that you’re going to improve something in their business. Fred Diamond: Did you ever question being in sales? Was there ever a moment when you thought to yourself, “It’s just too hard. It’s just not for me”? Paul McConville: [I’ve loved it. I’ve chosen jobs that I’ve been interested in or companies I’ve been interested in. That’s not to say it hasn’t been tough. But I think having confidence in what you’re doing and belief in the products or solutions that you’re representing have always helped me get past that. And I think it is creating the right network. Fred Diamond: What’s the most important thing you want to get across to the selling professionals listening to today’s podcast to help them take their careers to the next level? Paul McConville: Preparation. That’s always number-one on my list. Be prepared. And I can’t overstate it. It is critical. There is nothing that drives me crazier than when someone’s trying to sell to me and the first thing that they may ask is “What keeps you up at night?” It’s too easy to find information that keeps me up at night. You really haven’t earned the right to ask me that so soon. Second is not waiting to do what you should do. Sometimes reps know the right thing to do but feel like they have to wait to be told to do it. I always taught my teams you never have to ask to do the right thing. If you do the right thing and it fails, you’ll always get a pass. I also think that taking risks is a great way to grow. Too often people don’t take that risk. I think last is taking the time to ask a lot of questions to understand your client’s business and how you can help them change things to make their world better. That will set you apart. Fred Diamond: Tell us a little bit about how you sharpen your saw and stay fresh. Paul McConville: Number one is I get out and talk to clients. I think too often in large organizations it’s easy to get removed from clients and spend a lot of time on the spreadsheet or thinking about the budget. Both take up a lot of my day, but I make a lot of time to get out with clients. I get to learn from clients what’s going on, what’s their view of our product or solution and our people. I always ask that because I genuinely want to know what are we doing well and what can we do better. It’s a great way to get to learn what salespeople are doing and what they care about. We can see where they’re challenged and give coaching and feedback as well. I spent a lot of time with the team understanding what’s challenging them in the business, whether it’s our product or something else. Could it be that something’s missing in the compensation plan? Could it be something happening in the business they’re just not sure about? Communication is critical in any business, especially when we’ve gone through a ton of change in the last year, and so spending a lot of time listening and communicating has been important. I think the last is staying curious. It’s important to continue to ask questions. Paul McConville: The biggest for us is around enablement. How do we create more repeatable process for 130 people servicing 12,000 clients? How can we create better, more effective repeatable processes? How do we make our managers into better coaches? And how do we do it really build this culture of learning? We’re really driving a learn but then do practice and practice in the safe environment until you get it right. I think every successful leader needs to know how to sell. A recent study of 500-plus CEOs in large companies showed the number-one profession that was most prevalent in those CEOs was sales. Twenty-five percent had a sales background. I find that inspiring. That tells me that really smart people doing smart things had a background in sales. You have to learn how to understand how needs influence people and build consistent consensus to make your business a better place. That’s sales.